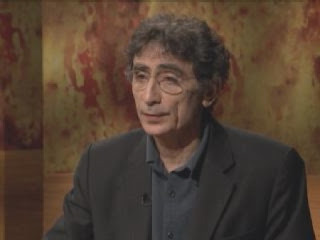 I was listening to a guy called Dr. Gabor Maté on this hippy liberal radio/tv show called Democracy Now. He was mainly discussing the correlation between people having been abused as children and drug addiction, but he also discussed several other disorders such as ADD that he believes also stem from trauma in early childhood development, and not genetics. The more I listened to him, the more I believed that a little theory, a little hypothesis of my own that I have been turning over in my head for a while, may have more validity than I ever imagined. 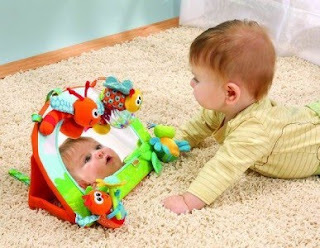 I have been contemplating the idea that mirrors are the cause of dyslexia, that those of us who were exposed more to mirrors as babies and young children are more likely to have signs and symptoms of dyslexia. A couple of things point me in this direction. One, most dyslexic people are of average or above average intelligence. This intelligence, this ability to learn, could very well be the thing causing the problem. A sponge will soak up gasoline just as well as it will soak up water, but most rocks won't soak up either. Does that make any sense? Two, the very nature of the disorder along with an increase in the number of people showing symptoms taking into account the increase in the number of mirrors per capita in the last 100 years. Of course, I am me, and I don't have any kind of psychology, physiology, or even a pimpology degree. I am not any kind of doctor, and without any kind of credentials, I am not very likely to land any kind of serious grant money to study this hypothesis. Moreover, even if I did conduct some sort of airtight scientific study, everyone would probably ignore it... I don't even wear glasses, and the mirror industry probably has some pretty strong lobbying power in Washington. If you are studying these kinds of things, and or you are Dr. Gabor Maté, I really think you should pursue this hypothesis. Of course, I would like some of the credit, and maybe some money if you win the Nobel Prize or a MacArthur Genius Grant or something. P.S. Subscribing to Ideas By Chuck does not cause any kind of major neurological disorder... I don't think. Subscribe Here. P.P.S. I used to show more signs of dyslexia when I was better looking and looked at myself in the mirror all day long, so if you are dyslexic, stop looking at yourself in the mirror, and your dyslexia will probably go away. That's right girl! Turn your back on that mirror! P.P.P.S. Have you checked out ChuckMcCarthy.com or started following my Twitter, @ideasbychuck? P.P.P.P.S. I think Democracy Now should change their name to Democrazy Now. It's a little catchier.